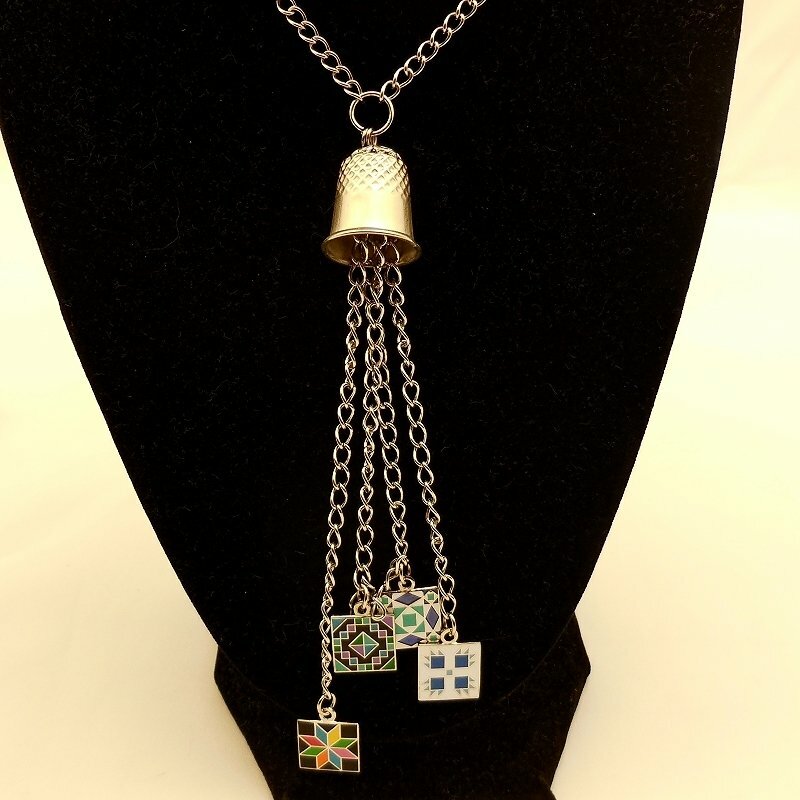 This Thimble charm necklace has 4 charms attached. Attached are the Bear Paw, Storm at Sea, Jewel Box and Eight Point Star 1/2" Charms. The stainless steel necklace is 30" long hanging 15" from the neck down.